Nestled at the foot of the iconic Mont-Blanc, the Savoyard ski resort of Saint Gervais presents the undeniable asset of being a real village from where you can explore everything around the Chamonix Valley, from Fayet to the Bettex, the snow front, including the authentic Savoyard village of Saint-Nicolas-de-Véroce and of course Saint-Gervais itself with its historic centre, with typical Spa town architecture and numerous restaurants and shops. Saint-Gervais-Mont-Blanc ski area boasts 56 lifts, 120 pistes, 225kms of pistes, 2 snow parks and access to 2 ski area Evasion Mont-Blanc and Domaine du Prarion (St Gervais/Les Houches). Whether you choose to walk, explore, slide, hike … trails, tracks, freeride spots or the snowpark, whether you prefer to climb to Mont Blanc in a picturesque way, ballooning, paragliding or with the Mont Blanc Tramway, the multitude of activities on offer in Saint-Gervais allows you to give free rein to all your desires. Today the Mont Blanc Tramway is one of the last three cogwheel trains in France. It takes you through the winter to the Prarion / Bellevue ski area (1,800 m). In the summer, it takes you to the foot of the Bionnassay Glacier, in the Eagle’s Nest, at an altitude of 2,372 meters. From there, confirmed and equipped alpinists will have access to the refuges of Tête Rousse and Taste, for the ascent of Mont Blanc. In addition to skiing and mountaineering, Saint-Gervais is also known for its thermal baths. Since 1806, the baths of Saint-Gervais-les-Bains are indeed famous in the treatment of dermatological affections. Saint-Gervais-les-Bains thermal water treatments provide a softening and healing anti-inflammatory effect. In addition, the baths of Saint-Gervais-les-Bains have the peculiarity of treating double pathology Asthma / Eczema very common in children. It should be mentioned here that Saint-Gervais has recently been awarded the Famille Plus Montagne label. The resort is committed to always pay close attention to family stays. Dear parents, go on vacation, peace of mind, Saint-Gervais Mont-Blanc takes care of everything! Exploded in several sectors (the Princess, Mont d’Arboit, Mount Joux, Mont-Joly, the Bettex …), the Saint Gervais ski area has 4 main entrance doors: Le Bettex (ski-in ski-out) , Saint-Gervais (via the Bettex gondola), Saint-Nicolas de Véroce (via the chairlift of the chief town) and Le Fayet (via the Mont-Blanc Tramway). – the Prarion estate (Saint-Gervais / Les Houches), accessible from the center of the resort via the Mont Blanc Tramway. -Micro Saint-Gervais package: This is the beginner package par excellence since it covers only 4 km of slopes and 3 lifts. – Bettex package, 10 km of slopes and 6 lifts. – Evasion Mont-Blanc Package: A unique package for skiing on the Saint-Gervais, Saint-Nicolas-de-Véroce, Megeve – Rochebrune – Côte 2000, Les Contamines Montjoie – Hauteluce, Jaillet – Combloux and La Giettaz. 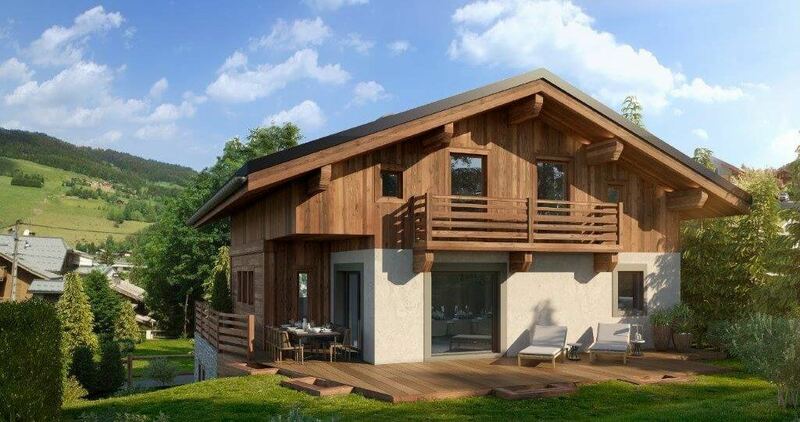 The Domaine Evasion Mont-Blanc (St. Gervais, Megève, Les Contamines / Hauteluce, Combloux, La Giettaz) opens at the gates of St. Gervais and unfolds its 445 km of trails between the fir trees. This vast expanse offers riders unmissable spots: two snowparks for freestylers and some beautiful off-piste on the side of Saint-Nicolas de Véroce and Mont-Joly. And there is snow! A good exposure and a mountain pasture compensate for an average altitude, especially in case of weather whim, the snowguns take over. Apart from a road link to access Contamines-Montjoie – Hauteluce and a small connection by shuttle or on foot in the heart of Megeve, this area is fully connected ski-in ski-out. So if you are ready to fill your stay (or the memory of your smartphone!) Of the most beautiful views of Mont Blanc, do not hesitate! But beware! For a successful escape, having the easy trigger is not enough, a good pair of thighs is also desirable because you then have access to 445 km of slopes, more than a hundred lifts, spread from 1000 to 2350 m altitude , on a cumulative elevation of 2000 m.
Another singularity of Saint Gervais station: the Mont Blanc Tramway, on the highest railway line in France (2372m), one of the last cogwheel trains in the world, which takes skiers to the second domain ski resort, connected to Les Houches. More than the number of kilometers of tracks (55), it is the singularity of its access that seduces. It’s the Mont Blanc Tramway that takes its passengers on the slopes. A unique experience, a real journey through time with one of the last cogwheel trains in the world, the highest in France. From the Fayet (584 m) or Saint-Gervais (850 m), the climb is gentle amidst farms and forests for a stop at 1650 m Col de Voza, departure from the ski area. A unique experience and a surrealist painting, both Mont Blanc seems to ski. The WOSP (imply, the snowpark of Saint-Gervais) is accessible by the chairlifts of Mont-Joux. It is divided into two zones. One, family with border cross, fun jumps and a Big Air Bag to land safely. The other, more technical, is dotted with original modules and a Jib area. Specially designed for children, 2 sled areas are installed on the Saint-Gervais area: one on the La Croix plateau in Saint-Nicolas and the other under the arrival station of the Bettex gondola. Off-piste side, it is not less than 1000 m of difference in altitude that is offered to you, between the shoulder of Mont-Joly and Saint-Nicolas de Véroce. Here the Mont-Blanc Massif unfolds in all its splendor, impressive by its proximity. Steep slopes, combes and powder … The off-piste descent to the plateau of the Cross, the Envers du Mont-Joly, the Lanches, or even the Pirolettes ridge promise you great moments! And for those who want to learn the powder without taking risks, the forests of Mont d’Arbois and Princess are an ideal playground. Nordic skiing in Saint-Gervais Mont-Blanc is above all a breath of fresh air at altitude and enjoy a magnificent view of the roof of Europe all along the 28 kilometers of tracks. At your choice, the Plateau de la Croix in Saint-Nicolas, Bettex / Princesse on the Megève side or the Plateau de Prarion in Les Houches (accessible by the Mont Blanc Tramway which serves the Fayet or Saint-Gervais train stations to the train station from Bellevue, it takes 20 minutes to walk to the 10 km long trail at Chavants). But our favorite course remains the Bettex / Saint-Nicolas-de-Véroce, 5.5 km of track. Ideal for an average skier from the point of view of difficulty, extraordinary from the panorama on Mont Blanc which accompanies every minute of this route. – Direct access from Paris: Thanks to the direct TGV from Paris, the arrival is smoothly to the station of Saint-Gervais / Le Fayet, in the heart of the resorts of the Pays du Mont-Blanc. – Les Bains du Mont-Blanc: This true island of naturally hot thermal water extends over an area of ​​more than 1200 m² in a modern setting, conducive to relaxation and reflecting the mineral universe of the Mont-Blanc water. White. -From the Fayet or Saint-Gervais, the Mont Blanc Tramway (the highest rack railway in France) awaits you for a wonderful trip at the foot of Mont Blanc.